Mobile dent repair near me in Huntersville, NC can be a very easy process when you find a reputable company like Piedmont Dent Repair. We have been operating and performing paintless dent removal in Huntersville NC for years. If you’ve been seeking a quality repair company for hail damage or dents to your vehicle, you should contact Piedmont Dent repair immediately. We can perform quick dent repair and even offer mobile support for dent repair while you are on the go. With paintless dent repair we can preserve the value of your vehicle without having to work through insurance to get repairs. This solution repairs dents without having to completely remove body panels or keep your vehicle in a repair shop for several days. Repair jobs can be completed to quickly fix up damage across your vehicle at the site and with the best tools in the industry. 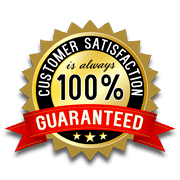 Our mobile dent repair in Huntersville, NC is backed by a 100% satisfaction guarantee. We want to make sure that we can eliminate dents and damage on your vehicle at industry-leading prices. We provide paintless dent repair quotes on site and then perform immediate repairs to keep your vehicle looking its best. Paintless dent removal is something that’s available for certain types of damage such as hail dent removal. If the finish of your vehicle is still preserved, we can use effective tools to repair dents without having to perform complex body panel removals and more. Our skilled repair experts can check to see if your dent may be a good candidate for this type of repair and then perform the repair directly on site. This helps you avoid costly insurance premium increases and ensures that you can get more convenient services for your vehicle. If you are seeking Mobile dent repair near me in Huntersville NC, and you want to find some of the best people for the job, contact Piedmont Dent repair today. Our staff members are standing by waiting to help you with paintless dent repair and more.